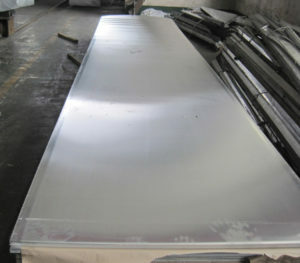 6061 is a precipitation-hardened aluminium alloy, containing magnesium and silicon as its major alloying elements. Originally called “Alloy 61S”, It has good mechanical properties, exhibits good weldability, and is very commonly extruded (second in popularity only to 6063). It is one of the most common alloys of aluminium for general-purpose use. 7075 aluminum alloy’s composition roughly includes 5.6–6.1% zinc, 2.1–2.5% magnesium, 1.2–1.6% copper, and less than a half percent of silicon, iron, manganese, titanium, chromium, and other metals. It is produced in many tempers, some of which are 7075-0, 7075-T6, 7075-T651. This entry was posted in aluminium strip and tagged 6061 aluminum alloy, 7075 Aluminum, aluminium alloy, aluminium strip, Aluminum alloy 7075. Bookmark the permalink.